EAW018620 ENGLAND (1948). 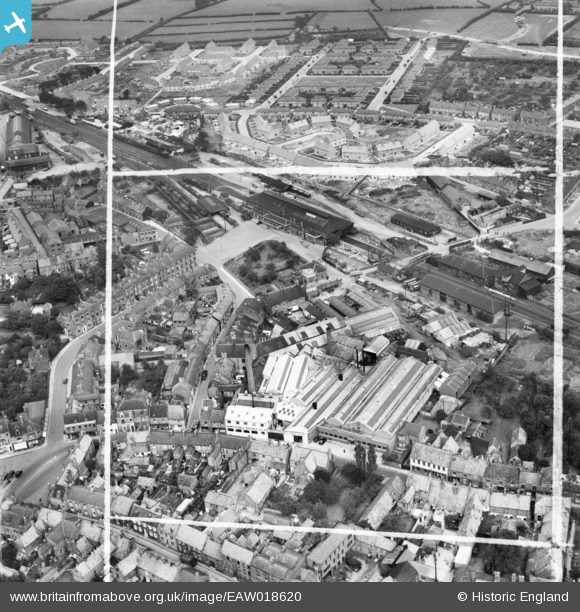 The Armstrong's Patents Co Ltd Engineering Works, the Railway Station and the surrounding residential area, Beverley, 1948. This image was marked by Aerofilms Ltd for photo editing. Title [EAW018620] The Armstrong's Patents Co Ltd Engineering Works, the Railway Station and the surrounding residential area, Beverley, 1948. This image was marked by Aerofilms Ltd for photo editing. Beautifully kept gardens by the station staff.